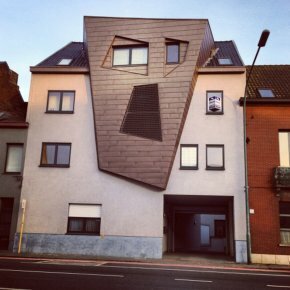 The Creators Project: How did Ugly Belgian Houses get started? 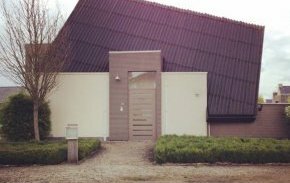 Hannes Coudenys: I just took a picture and put it online and immediately there were a lot of people liking it, saying, “Hey, that’s so true—Belgium is full (of ugly houses).” I’m not an architect, but it’s been cool to learn so much about architecture. The history, where it comes from, how it’s possible that we can build different styles and how we arrived at this chaos. 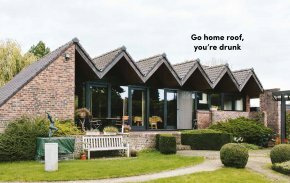 It started off as something funny—it’s still meant to be funny—and I love to see Belgians and people from abroad commenting on and discussing these houses. It’s fun to see that people have really started discussing how we build in Belgium. "Reminds me of ‘The Scream’ by Edvard Munch and that’s exactly what I’m doing." Right! 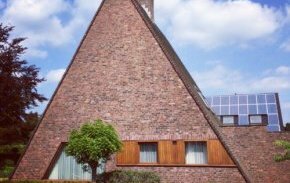 You’ve said Ugly Belgian Houses originated from your dissatisfaction and rage with the built environment. 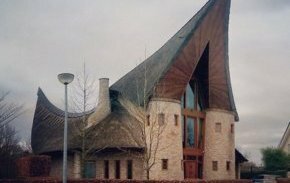 But now, you have gotten people interested in Belgium’s unique brand of domestic architecture. You’ve been working on this long enough that you’ve received all kinds of feedback—negative, positive, lawsuits. How has this impacted your interpretation of what you’re doing? It has changed. I’ve become less dissatisfied. I travel a lot—I drove through Holland, Germany, Denmark a few weeks ago and you see that these other countries still have a lot of space in the countryside. 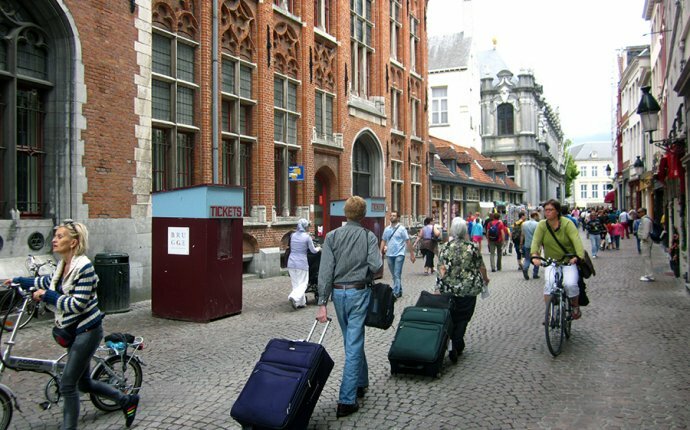 But Belgium is a very, very tiny country and you can’t not see the houses, they’re everywhere. But I love it: the freedom to build here sparks creativity. It’s part of my blood. It seems you have become a sort of brand ambassador for your country and its collection of ugly architecture. 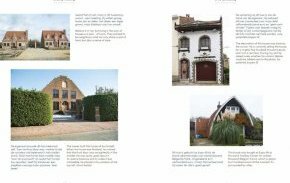 What has the reaction in Belgium been to the blog, and now, the book? The reaction has been mixed—most of the Belgians hate me, but the people who love Dezeen and Facebook and have a sense of humor, of course, like it.